The agency Model Pool and the organic Star Hairdresser Marc Booten are very much allied. 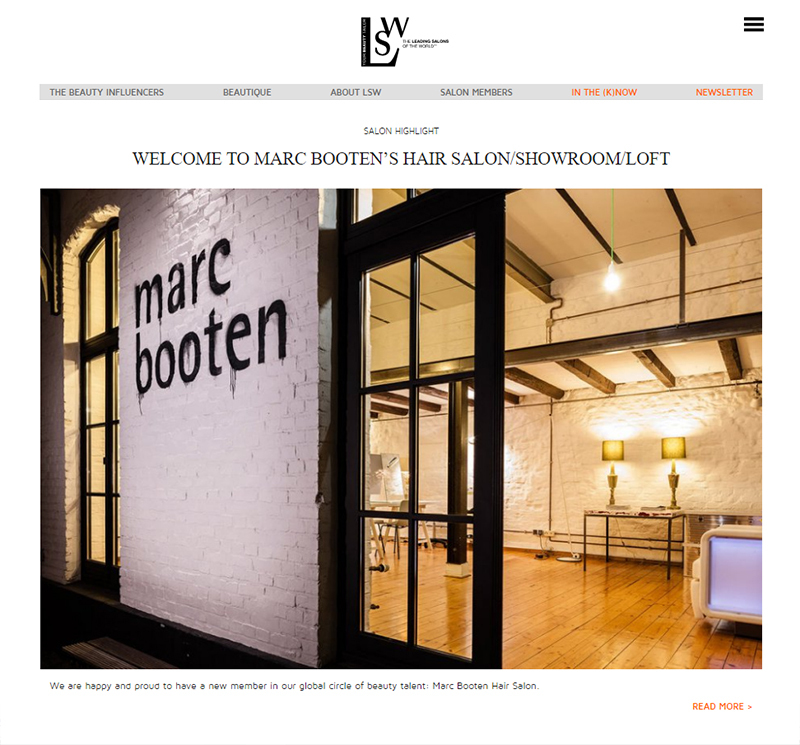 For several years Marc Booten’s salon and the agency were direct neighbors - in the academy street in the old harbor on the River Rhine, the old town of Düsseldorf. At that time Marc Booten was very active in the top fashion league, fashion professionals admired his hair creations at shows & shoots for Prada, Jil Sander & Akris. 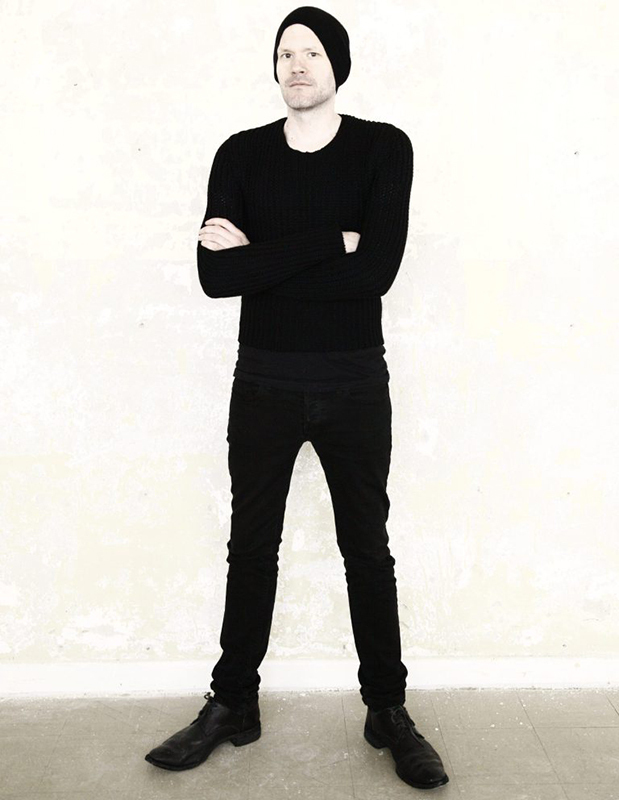 At the shows and editorial shoots the agency and Marc often worked together. The Model Pool Booker were always loyal customers in the Marc Booten Salon and big fans of his magical fragrant creations, elixirs & tinctures, which were making the hair wonderfully healthy and shiny looking. Some of them - such as for example the lavender elixir – were created by hand in a pharmacy of his confidence after a 100-year-old recipe from freshly harvested flowers and herbs. Already as a child Marc Booten accompanied his uncle, a monk in the Abbey Mariawald Heimbach, to the garden and the library of the old monastery. By this time already the herbal medicine fascinated him. During his training as a hairdresser in Paris Marc Booten starts to work with natural ingredients on the basis of natural healing recipes. 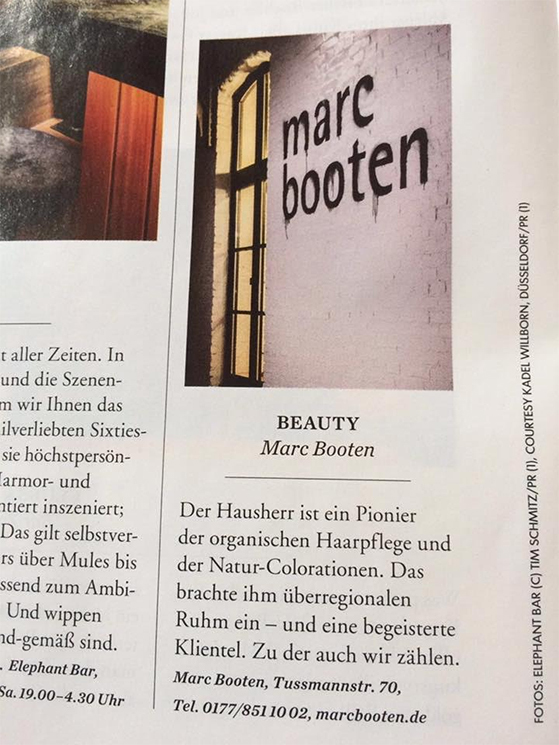 In 1992 Marc Booten opened his first Hair Care Institute in Düsseldorf and starts with the development of his first bio-haircare series. In parallel Marc completed many training classes in aromatherapy and medicinal plants, exchanges with dermatologists and practitioners. Now he is a sought after instructor for natural hair and scalp care. 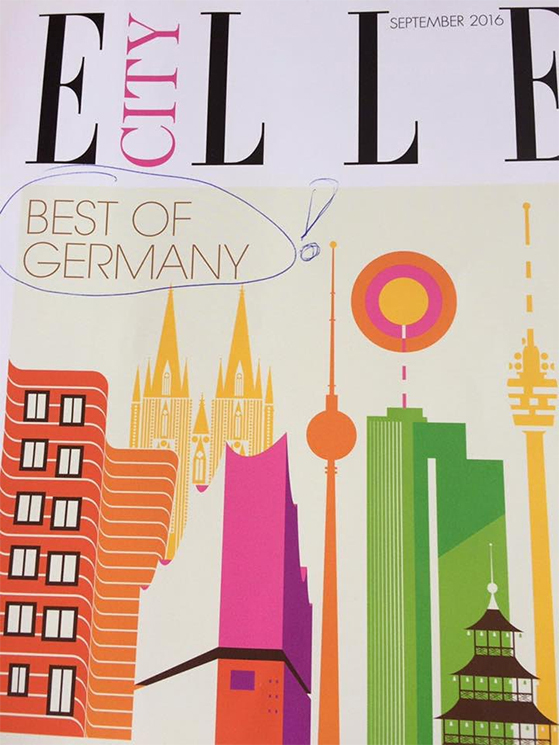 Several times Marc Booten’s salon was in the Top 100 List of VOGUE, ELLE and Madame. In 2016 he got a more exclusive award and is now a Leading Salon of the World. "I know from working with models the problem of hair loss and dry hair only too well. Permanent colors as well as the many dehydrating products and hot blow-dries damage the skin of the head and the hair very much. For some years I have a Care Plan for models. Three steps are to be observed: "Washing the hair with the Marc Booten Verbena Wash Shampoo – to open. Hair treatment Aloe Vera leave to work for 10 minutes – to moisture. Briefly use the hair conditioner Verbena – to close. This treatment used over several months will let the hair and scalp regenerate again with the power of nature." And my Professional tip: "Marc Booten hair capsules for the reconstruction from the inside. 3 times daily 1 capsule, which will give the body all important minerals as iron, zinc, and silica etc. to let the hair, the finger nails and connective tissue regenerate and grow." Indispensable - a high quality hair brush from natural wild boar bristle. It should be brushed over the scalp daily 100 times in different directions to activate the blood circulation. And some recommendations for nutrition: An absolute top product for the hair is beetroot (at least 3 times a week a good portion), sheep cheese, walnuts and brown lentils. This allows a variety of healthy tasty food to prepare. And if you are not vegetarian, treat yourself with a nice beef filet every other time- it contains enough iron and zinc for the beauty! Translated from the report prepared by the Head Bookerin Anna of the agency Model Pool.